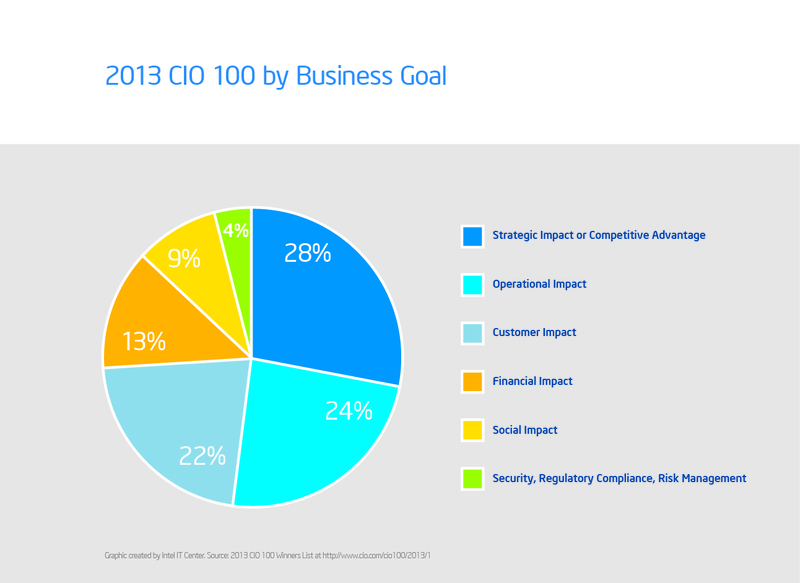 Each year CIO magazine accepts inputs from IT leaders around the world asking them to highlight the key projects they believe made the biggest impact in their organizations. Earlier this week, after a lengthy submission and review process, the industry gathered with the winners at the CIO 100 Symposium and Awards Ceremony to recognize, celebrate and share IT best practices for creating business value. 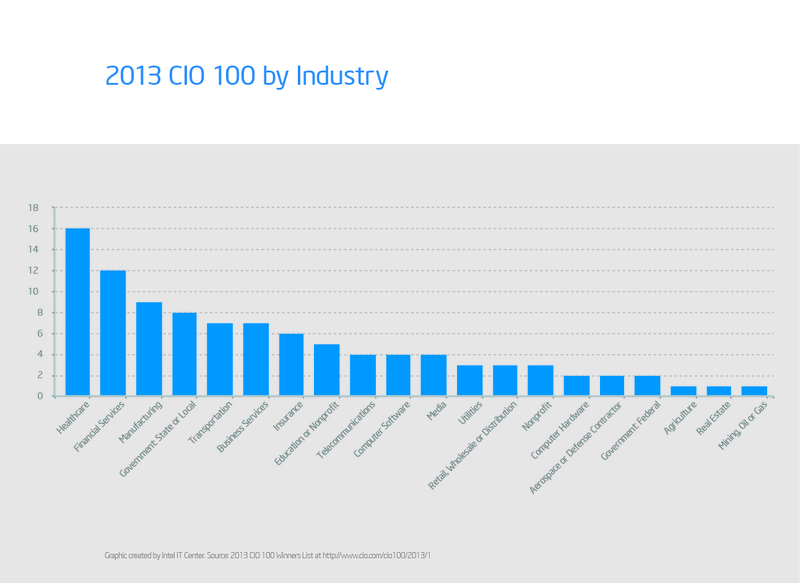 While I could not attend this year, I did take some time to review the CIO 100 2013 Winners Database and wanted to summarize some of the insights I gained in the process. Business Focused Innovation: While IT investments were the stimulus for project submission, the collective list showcases the transformative power of IT and Business partnership. 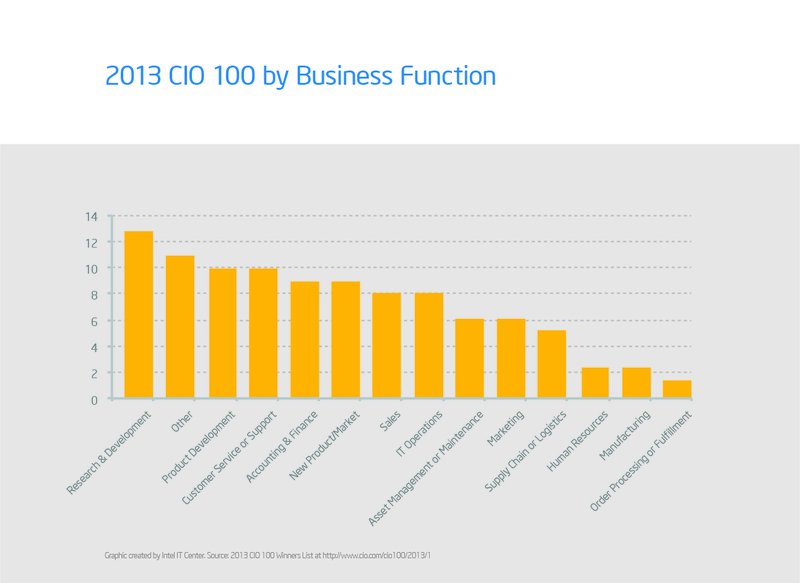 Technologies That Top the List: Business Intelligence and Cloud technologies accounted for nearly 50% of the projects with Business Process and Collaboration making up the 2nd tier. Inside the Intel IT Leadership team, velocity and agility have been a key emphasis for point for a couple years now. 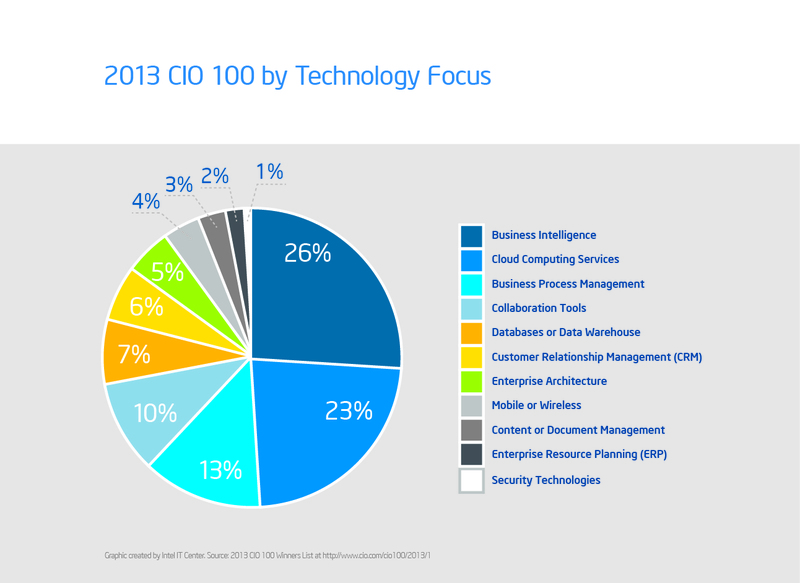 Is velocity and agility a critical priority for your IT agenda? If not, why not?